This is my first experience running in Altras and the foot shaped toe box and zero drop were completely new to me. The Torin 2.0 was much softer than I actually imagined them to be. I was surprised at how well the foot shaped toe box worked with the geometry of my feet. Again, I can't say how much I liked how well the toe box fit the shape of my foot. The shoe has become my go to recovery shoe due to the high cushion and foot shaped toe box. It just has a great feel on my foot. The first thing you will notice about the Altra Torin 2.0 is the foot shaped toe box which is Altra's most unique feature. They went against the pointed toe boxes commonly found in traditional running shoes to create a more toe-friendly shoe. Once I got used to that, I found the shoe to be very cushy and comfortable. The biggest thing I suggest would be to follow the adjustment period guidelines for the zero drop. It took me some time to adjust, but if you follow their recommendations then you will have no problems. 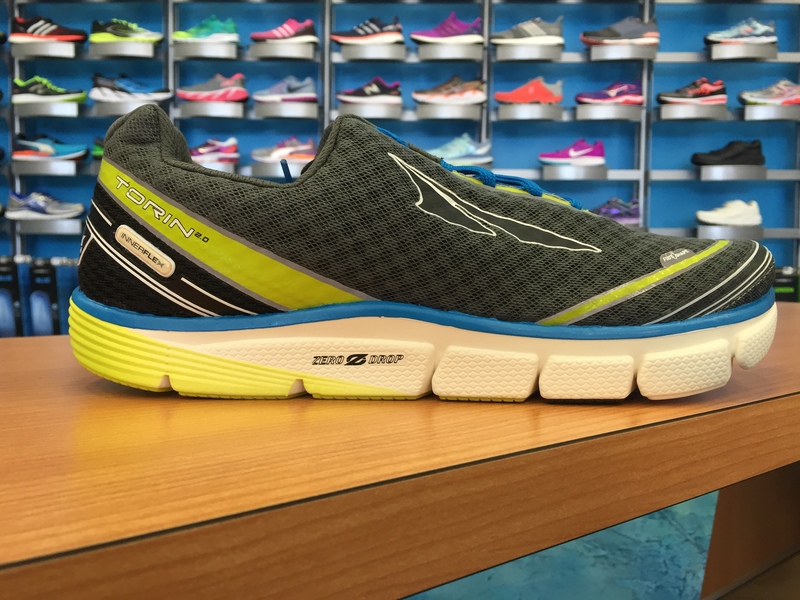 Definitely give the Altra Torin 2.0's a try if you are tired of your toes being constantly scrunched by traditional toe boxes.